What's A Gravity Bong And How Do You Make One? Imagine yourself unscrewing a pre-filled soda bottle filled with marijuana smoke, and then inhaling the entire thing into your lungs. This is called a gravity bong, famous for providing smokers with the same rush of a huge bong rip, with far less effort and minimal bud. Not to mention, it's made using everyday objects found in the home. There was one point in time where people had to find creative ways to elevate their high to levels the average pipe or bong couldn’t achieve. 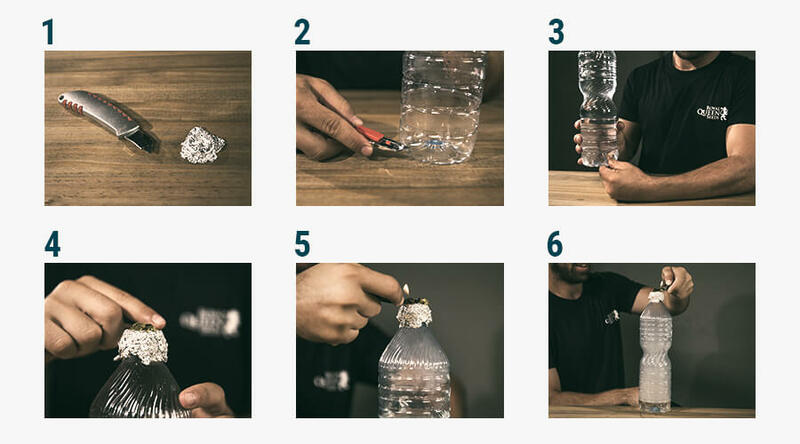 What makes gravity bongs so gnarly is the fact that you make it yourself using simple materials lying around your house. Finally, all of those plastic bottles taking up the space in your trash can be put to use. You’ll be happy to know that making a gravity bong doesn’t take much longer than rolling a joint, and it can get you pretty darn high. To explain the science behind it, heavily concentrated smoke is forced into the lungs, filling up to a capacity far beyond the average hit. When inhaled from the bottle, you’re essentially breathing in and filling your lungs with the smoke of an entire bowl of cannabis—all in one go! Because gravity bongs deliver extremely powerful hits of THC, they’re certainly not for the faint of heart. 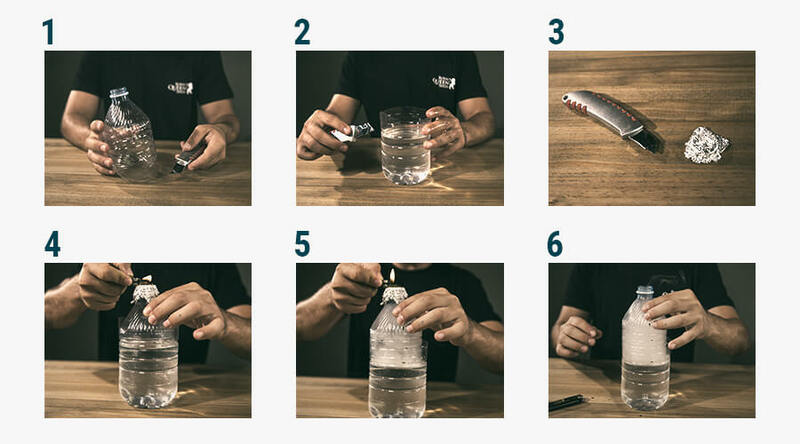 If you’re feeling like getting crafty with your cannabis and want to transform your smoke session into a quick DIY project, our handy guide below will show you how to make a gravity bong using a few household objects. Making gravity bongs is extremely rewarding, and a good way of keeping your smoke cool and fresh as it enters your lungs. You likely have everything you need right at home to construct one, which takes roughly 3–5 minutes. They can be made in two different styles, either a bucket bong or a waterfall bong (aka a reverse bucket bong). Gravity doesn’t play much of a role in the function of bucket bongs, despite the name. They usually involve the bottom half of a 2-litre soda bottle and the top half of a smaller plastic bottle. Really any size will do the trick, so long as you have accurate proportions, where the bottom is larger than the top. The bigger bottle is filled with water and the smaller one is, well, empty—actually it is just a tubing with a big hole at the bottom and a small one on top. The process of using it is based on the creation of a vacuum. When the top bottle is hoisted out of the bucket of water—as long as the top orifice is (partially) blocked— the flame of your lighter and smoke of your weed are literally sucked into the bottle as you pull it up. High enough to fill it with smoke, but not high enough to pull it out of the water (doing so deserves a slap in the face!). Clearing a bucket bong is way easier than your standard water pipe bong. The reason being, the pressure created when lowering the upper bottle back into the water forces all of the smoke out of the smoke-filled bottle and into your lungs as quickly as possible. Here’s how to make one. If your makeshift gravity bong has a bucket style, the bottom of the smaller bottle needs to be cut off. The larger this top chamber is, the more smoke it can hold. Cut the larger bottle in a way, so that all you’re left with is a plastic “bucket”. Now, fill this bucket with water so that the smaller bottle will be mostly submerged, but not to the point that the water level in the small bottle reaches over the last say 4cm. Next, take some aluminium foil and form it to a small bowl. The problem here is, that the burning weed has to be ABOVE the plastic—serious, you don't want to enhale any degassings of it! You may have to try twice or thrice, but trust us, the effort is well invested. Poke around three or four small holes in the bottom of your foil bowl (without ripping it) to allow for sufficient airflow. Trim off any excess foil if necessary. Remember: In order to take that toke you will have to remove the bowl later on, so make it seal off as good as possible but also easy to remove. This step requires some care and caution. Submerge the smaller water bottle in the larger bucket bottle, leaving the topmost region of the smaller bottle safely above water. Load your bowl with your desired amount of cannabis and secure it on the upper orifice of the small bottle. Now it’s time to light the cannabis. While holding a flame to your cannabis, slowly pull the small bottle upwards and watch it fill with smoke. Once the bottle is filled to maximum capacity, very carefully remove your bowl, and put your mouth securely over the opening. Slowly push the smaller bottle back into the water. As the water floods back into the bottle, the smoke will be pushed deep into your lungs. Waterfalls are the same concept, except they only require one large plastic bottle; and unlike the bucket bong, it actually uses gravity to produce the smoke. The waterfall experience saves your lungs the effort of getting your bong started up, but clearing it is on you my friend. Here’s how to make one. Unlike the bucket gravity bong, the “waterfall” only requires one large 2-litre bottle. Same as before, make an aluminium foil bowl. Jab three holes in the bottom of the bowl to allow for airflow. Fill the bowl with weed and set aside. Now, take your sharp object and make a carb hole on the lower-half of your bottle, small enough to cover with one finger. Holding the carb hole closed securely, fill your bottle with water, leaving a few centimetres at the top. The key here is that you must keep your finger on the carb hole until you are ready to smoke. Make sure you’re in an area that can get wet, because all the water is about to spill out of the bottle. Attach your bowl with the weed to the bottle neck opening. Now, let go of the carb hole; as water begins to rush out, light the bowl. As the water pours out, the smoke from your bowl will be drawn into the bottle, filling it up. When the water is completely gone, quickly put your finger back over the carb hole to keep the smoke from leaving. Now, the smoke is finally ready to be inhaled. Screw off the bowl top and start sucking in. As you let go of the carb hole, the suction will draw the smoke into your lungs. Get ready, because it’s gonna be a huge hit! Not so difficult after all! It could be hazardous to your health to inhale combustible materials from a plastic smoking device, so please proceed with caution. These bongs shouldn’t be reused or relied upon as a regular method of cannabis consumption.